If you have any questions about the ELLE information page below please contact us. This motor yacht ELLE is a 46 metre 150 (foot) large steel vessel which was manufactured by Puglia Shipbuilding and devised by Gerhard Gilgenast. Accommodating 10 passengers and 8 qualified crew, motor yacht ELLE was formerly Samantha Lin; Dream; Contemplation; Fortunate Sun; Zaza as her build project name and/or yacht title. Launched to celebration for 1992 her internal styling promulgates the traditional interpretations of owner and Teague Inc / Susan Carson. 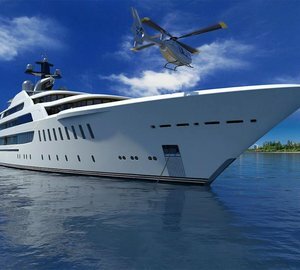 Gerhard Gilgenast was the naval architect firm involved in the formal superyacht plans for ELLE. Her interior design was completed by Teague Inc / Susan Carson. Gerhard Gilgenast is also associated with the yacht wider design collaboration for this yacht. the United States is the country that Puglia Shipbuilding completed their new build motor yacht in. After her formal launch in 1992 in Tacoma Wa the boat was then released to the happy owner following sea trials and testing. A spacious area is brought about with a total beam (width) of 9.39 m / 30.8 feet. With a 2.53m (8.3ft) draught (maximum depth) she is reasonably shallow. The material steel was used in the building of the hull of the motor yacht. Her superstructure over the hull is created with the use of aluminium. In 2000 extra refit work and updating was in addition finished. Fitted with two CATERPILLAR diesel engines, ELLE is able to attain a high speed of 16 knots. Her propulsion units are twin screw propellers. She also has an efficient range of 5000 nautical miles whilst underway at her cruising speed of 14 knots. Her total HP is 1550 HP and her total Kilowatts are 1141. The ample luxury yacht motor yacht ELLE is able to accommodate a total of 10 guests and 8 professional crew. Range in nautical Miles is 5000 at a speed of 10 knots. Northern Lights 2 times 99 kilowatts, 1 times 50 kilowatts. ELLE features a teak deck. 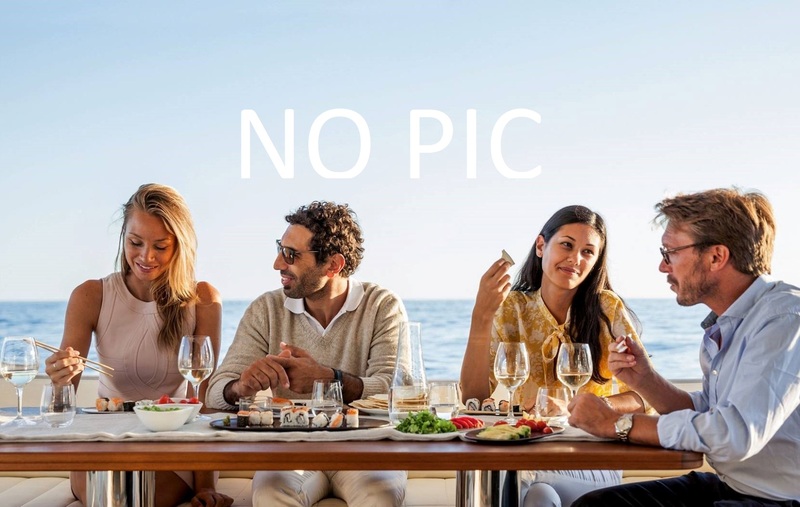 The luxury yacht ELLE displayed on this page is merely informational and she is not necessarily available for yacht charter or for sale, nor is she represented or marketed in anyway by CharterWorld. This web page and the superyacht information contained herein is not contractual. All yacht specifications and informations are displayed in good faith but CharterWorld does not warrant or assume any legal liability or responsibility for the current accuracy, completeness, validity, or usefulness of any superyacht information and/or images displayed. All boat information is subject to change without prior notice and may not be current.